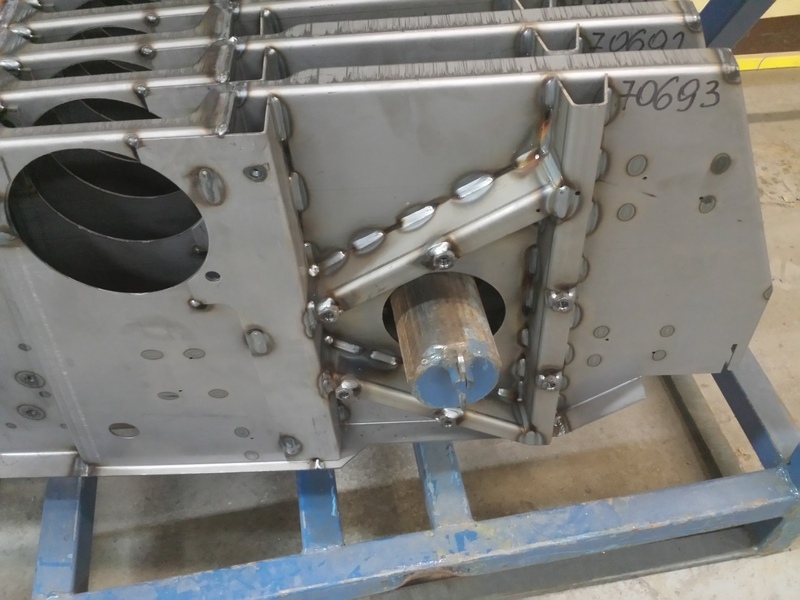 A key factor in producing consistent, high-quality welds is the preliminary work that goes into the weld fixture design. 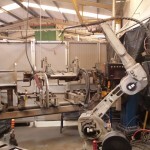 We have over 10 years’ experience in the set-up and layout design process for Robotic Welding. 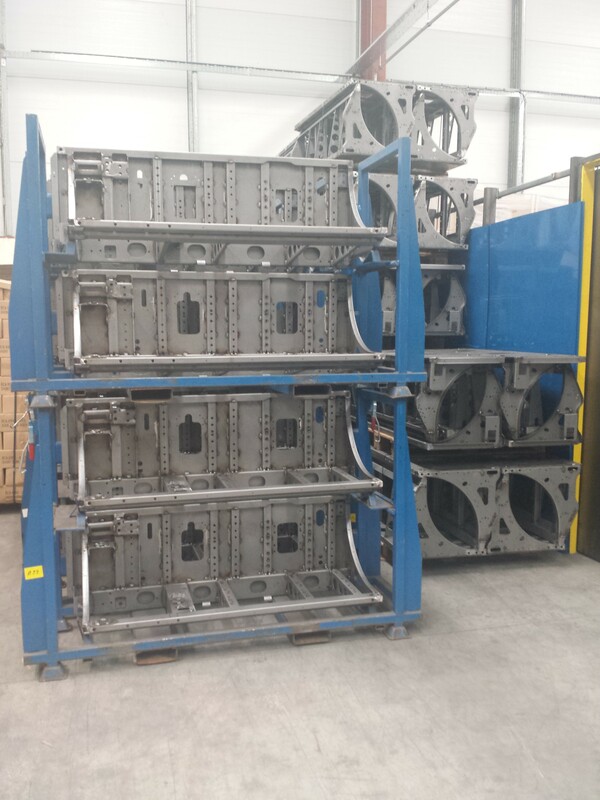 As a result we have built up extensive inhouse expertise and all our weld fixtures are designed and built internally by our experienced toolmakers for clients across the UK and Ireland. 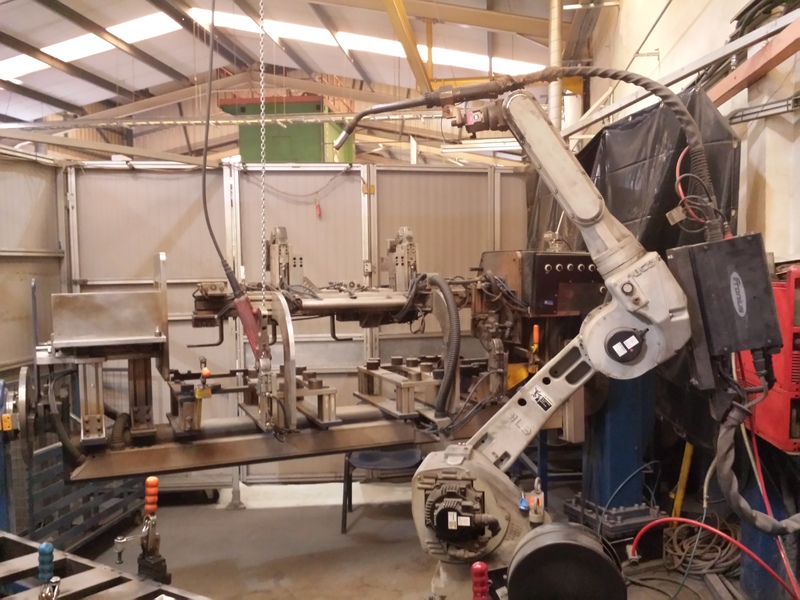 Robotic welders can work four to five times faster than the production speeds achievable through conventional hand welding. From a customer perspective this means lower costs and faster turnaround times. 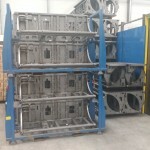 The quality is also improved as “missed welds” are eliminated, reducing scrappage and the need for re-working materials. 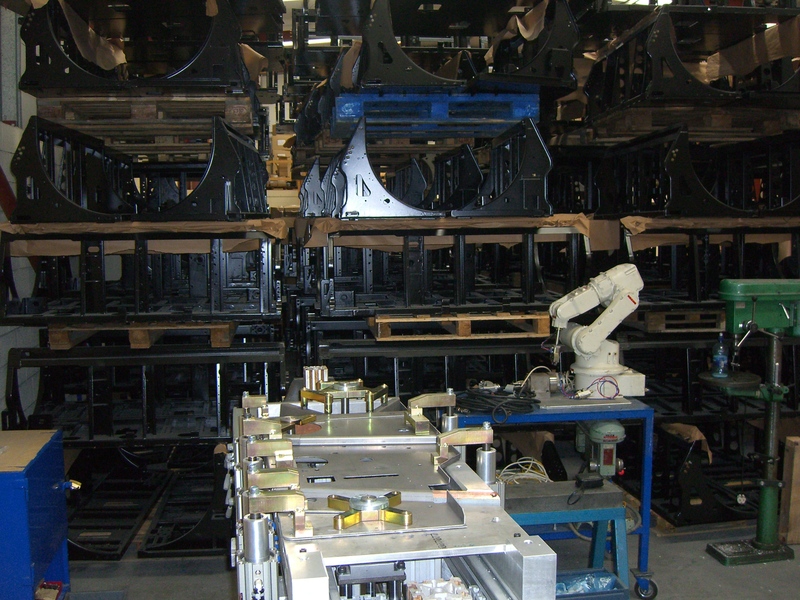 We currently operate a total of seven robotic welding cells, each equipped with Motoman robots and Fronius welders. 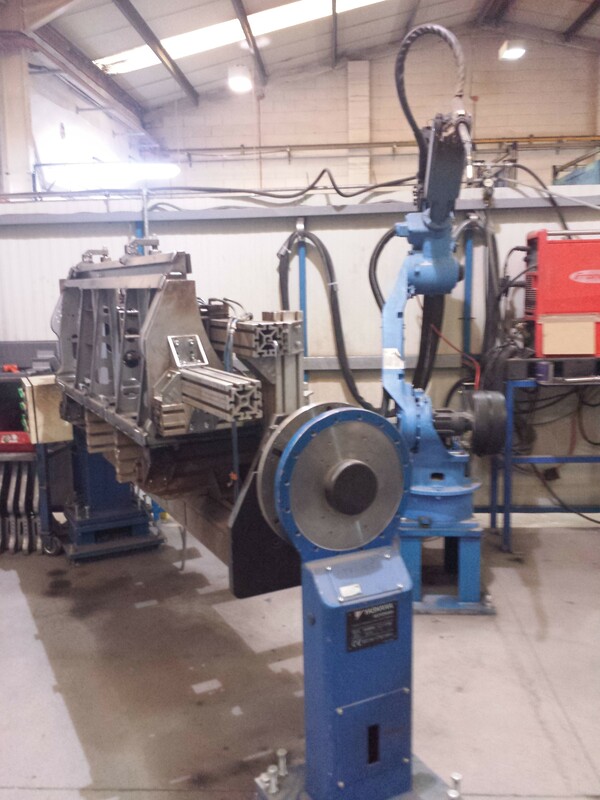 All welding tables are designed in-house to ensure quick setup and breakdown, as well as part-to-part and lot-to-lot consistency, thus reducing downtime and enhancing productivity. 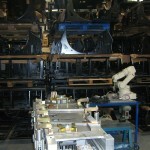 All tables have Sequential pneumatic clamping for quick loading and removal of parts. 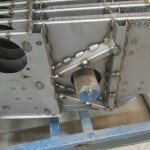 In addition to our comprehensive Robot Welding service, Fabricated Products offers a full set of related services including Mig/Tig Welding, Seam Welding, Spot Welding, Stud Welding & Brazing. 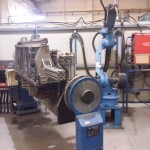 Call for a competitive quote – we look forward to talking with you.